Vacations are a wonderful opportunity to relax, unwind and enjoy a chance to take a break from the hustle and bustle of daily life. Vacations were designed for us to rest, but some worry that all their hard work in the gym will go down the drain after a week or so of vacation. Not to worry. Your body will benefit from a small break and from the variation of your normal routine. Your first option is truly to rest. Take a few days to let your body recover from exercise, catch up on your sleep and give yourself a chance truly to relax. Resting is just as important as working out because it’s an equal part of the total process required to build strength, endurance, and muscle. Working out breaks down your body tissues. Resistance training breaks down muscles causing microscopic tears. When the muscle heals and rebuilds itself, you grow stronger. Rest days allow your body the time needed to rebuild. Sleep is also an important part of the process to get stronger. Your body produces more growth hormone during the REM cycle of sleep, which aids your body in repairing and rebuilding muscles post-workout. Sleep is also a very important part of keeping you healthy in general. If you are skimping on your sleep at home, a vacation is a great opportunity to sleep a little later and help your body recover. If the idea of resting for a week is more than you can handle, here are a few quick and easy ideas to incorporate fitness into your vacation without spending all your time in the gym with your days of rest and relaxation. Bike around your destination. Bring your own bike or rent one from your vacation destination. Use it to explore your surroundings or to go to and from dinner. For most of us, almost all of our time commuting at home is spent in a car. Try to limit your time in the car on vacation as much as possible and make your travel time active time. Try something new – you can canoe, kayak or paddleboard at the beach. Try hiking, skiing, or rock climbing in the mountains – no matter where you are, there is sure to be something you haven’t tried before or something you don’t get to do frequently. Pretend that the elevators don’t work. Use the stairs whenever possible for a little added calorie burn. If it’s within a mile, walk. Walk to breakfast, lunch, dinner, and the shops across the street. Lots of short bursts of activity will add up and you will have the opportunity to see lots of sights you might have missed from the car. If you wear an activity tracker, make it your goal to hit 12,000 steps a day instead of 10,000. 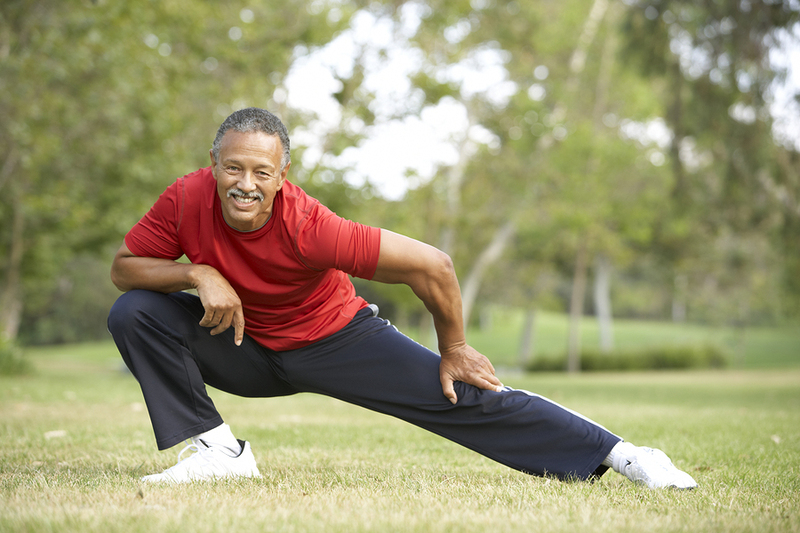 Stretch – use this opportunity to try yoga, Pilates, or just spend time stretching outdoors and enjoy the quiet. You can easily create your own routine, download a free app for a workout that you can follow, or visit a class. Tabata – this is a quick and easy (and super challenging) workout for anyone. Select an exercise, preferably a bodyweight one, and perform that exercise as many times as possible for 20 seconds. Work as hard as you can in the 20 seconds, bringing your heart rate up as high as possible. Rest for ten seconds and then repeat for 8 total rounds (4 minutes of total time). Use a watch with a timer or a tabata timer app to help you keep track. Your goal is to do 4 rounds of tabata total (16 minutes). A full body tabata workout would include squats, pushups, planks, and burpees. You can substitute any exercise you can think of for those listed — just be ready to repeat it for four minutes. You can break it up with some core work or add in some interval run/walking at the end to make it a little bit longer. Visit a new gym. If you have a YMCA membership, your membership is good at any YMCA through membership reciprocity, so take a new class or try out another facility. If you aren’t a Y member, ask your hotel if they have any special deals worked out with local gyms that you could visit. Play a game with your friends and family. Volleyball, tennis, golf – anything that you all enjoy and will get you moving will fit the bill. Find a hill near you – walk, run, skip, lunge, backpedal (walking or running backwards), and sprint to the top of the hill and jog back down. If you want to make it a little harder, do 10 pushups every time you get to the top of the hill and hold a plank at the bottom of the bill for 30 seconds. Repeat the entire routine for 20 minutes. Use your body as your resistance for your workout. Bodyweight workouts are wonderful – they easily incorporate your entire body and can get your heart rate up in a hurry. Look for 10 minute body weight workouts on Pinterest – you may be surprised at how difficult they are. If you want a more challenging outdoor workout – try this one. - Walk or run to a local park. - Wall sit with your back against a wall or phone pole – try to hold it for 1 minute. - Run to the monkey bars and either complete 10 pull ups or hang on the bar for 30 seconds at a time (repeat 10 times). - Complete a set of 10 tricep dips off a park bench or set of parallel bars. - Hang on the bar again and try to do 10 knee lifts to your chest. If that’s too hard, hold a plank on the ground for 1 minute. Complete both exercises if you want an added challenge. You can repeat the entire circuit or run/walk back to your starting point. Exercise doesn’t have to be confined to four walls of a gym. No matter where you are, there are lots of options to find a way to work a little activity into your day. The woes of winter are quickly upon us and there is a gamut of excuses waiting around every turn telling us to have a seat on the couch and snuggle up with a warm blanket. The problem is, as a University of Colorado research study discovered, a chemical called ATLPL that promotes fat storage almost doubled during the winter and dropped during the summer. That means our bodies naturally want to store more fat during the winter months, so we need to work even harder not to let the winter woes get the best of us. The positive side of the University of Colorado study showed that exercise may increase SMLPL, a muscle enzyme that promotes the burning of fat. That’s great news because it will offset the ATLPL chemical that’s trying to work against us and store fat. The study also found that those people who are already exercising regularly (30 minutes a day for 4-5 days out of the week) are less prone to pack on a bulge during the winter. Sure, it’s always easier to get up and motivated to get moving when the days are warmer and the sun shines longer, but with good structure and goals we can beat any odds, even during the dark days of winter. One of the biggest excuses I hear from my personal training clients is finding enough time to work out. What’s interesting is that excuse changes a lot during the colder weather months because it’s easier to stay inside, pack full schedules for the holidays, and pack on the pounds from unhealthy holiday treats. But with a good plan and forming good habits early, you can be ahead of the game when spring time hits! Snack on healthy carbs in the afternoons and not during the evenings when the days are shorter. Carb cravings and sugar cravings increase during the winter months when it gets dark earlier. We often seek comfort during the shorter days of winter which has been connected to a drop in serotonin levels. This drop makes your brain less active, leaving you feeling tired and even depressed. Your brain is making you desire carbs and sugars because after you eat them your serotonin levels rise. Put yourself in a good mood during the winter months with healthy carbs like sweet potatoes, oatmeal with cinnamon, vegetables, and healthy low fat cheese or yogurt. One of my favorite things to work on with my clients in their fitness journeys is how they utilize their time. I completely understand needing some down time, and sometimes that requires some “couch therapy” as I like to call it. Sometimes there’s nothing better than catching up on your favorite shows from the week, but you probably didn’t realize this can be a great opportunity to turn this time into a workout. Did you know that TV commercials are on average 30 seconds long and an average commercial break is three to four minutes long? The average TV show lasts 42 and a half minutes with approximately five commercial breaks during each show. Now that I’ve completely ruined your future TV viewing experience, let’s talk about how this can work in your favor. Try doing exercise activities only during the commercials. During each commercial pick one activity and change to the next activity when the commercials changes to the next. For example, try jumping jacks, push-ups, planks, sit-ups, squats, or lunges. At the end of the TV show you’ll have completed a 20 minute workout! If you’re an outdoor enthusiast and still seek the outdoors even when the temps are frigid, you need to dress the part. 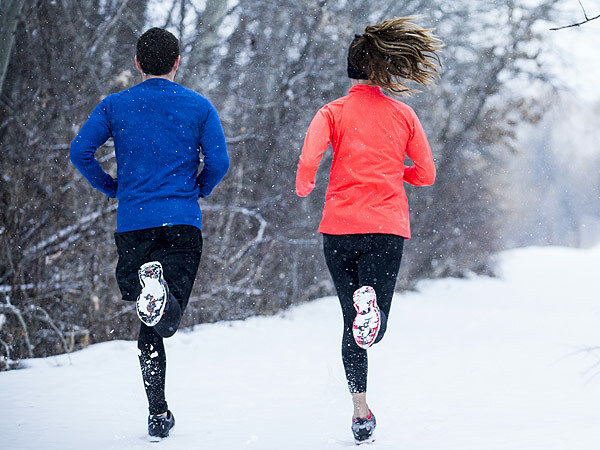 Here’s how you can use layering to your advantage for a quality outdoor workout. Base Layer – Moisture-wicking fabric that is snug fitting. This will pull the moisture from your body and keep you warm. Do not wear cotton as the first layer of contact with the skin because it holds moisture close to the body and will drop your body temperature. Middle Layer – Pullover or over shirt. Wool or polyester is the best suited type of fabric for this layer. Outer Layer – When it gets close to freezing, top off your layers with a jacket that can resist water and wind, but will continue to breathe. Gore-Tex and nylon are good options for the outer layer. Whatever the winter holds for you, know that with proper planning and the will to keep the bulge off, you can be ready and able to have a healthy and happy winter. Plan for success and stay dedicated and you’ll see amazing results! Make the best of yourself, your goals, and your abilities this winter with the in-home Bear Den Workout! We all remember the fun games of tag that we played as kids. We would chase after our friends trying to tag each and every one of them as they bobbed, weaved, and shuffled out of our way. It was a game of speed, accuracy, and agility. You’re probably thinking the same thing as I am: “That was years ago when I had a youthful frame, loads of energy, and flexible joints.” Yes, you’re right, but agility training has come back into popularity for a variety of reasons that don’t including playing sports. Sports Agility Training (SAT) is breaking the molds of traditional exercise routines and climbing in popularity fast. SAT is a form of fitness that builds speed, agility, reactivity, and quickness. Many levels of play from youth, collegiate, amateur, and professional competitive arenas are encouraging their athletes to incorporate agility fitness exercises into their training programs. Sports Agility Training is a form of exercise that’s done with a specific task in mind for a short period of time. For example, running back and forth from a series of cones, weaving feet over and back of an agility ladder, or even running weighted sprints are a few examples of SAT. Because of its ability to improve the body’s reactions and break performance plateaus, the intrigue and interest are bringing common, weekly fitness enthusiasts into the mix and they are practicing SAT on a regular basis. Agility drills increase your balance, dynamic flexibility, functional core strength, control, and reduce your risk of physical injury by improving body mechanics. 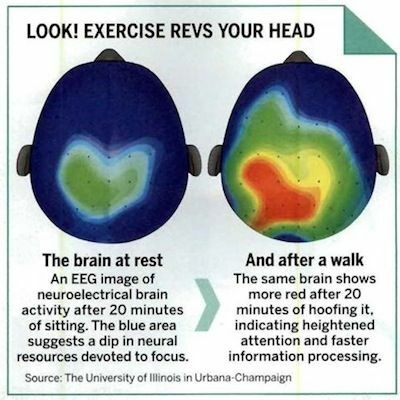 These benefits are allowing adults to stay active longer, enhance reflexes, improve coordination, and maintain balance and muscle mass to support the skeletal structure. FUN is back in Fitness! After years of repetition in popular fitness routines on treadmills, bikes, and even in the weight room, you can stop your boring workout that sometimes keeps you from exercising. Let’s face it, if you like what you’re doing you’re more likely to continue. Each SAT routine is unique and offers a wide variety of exercises keeping you engaged and excited to perform each exercise. Motivation for Measurable Results. We all want to see results of our efforts. Agility training is an excellent form of fitness that’s easily measured each time it’s performed. A drill like a three-cone shuttle run, often performed at professional football try-outs, is a good example. Perform the drill and time yourself. Record the time and after a week or so of training, do the drill again and time yourself. You will be amazed at how quickly you can see measurable results after only a few exercise routines. High-Intensity Interval Training. Agility training is a form of HIIT which is an effective way to burn a lot of calories in a short amount of time. Running very fast for a short period of time (10-30 seconds) and then allowing the body to recover before repeating the exercise is a great way to burn calories fast! HIIT training also carries over after the workout to continue a high caloric burn hours after your exercise routine is over. Prevent Injury. Changing movement patterns quickly allows you to train the body to make modifications in a split second. Training your body to change directions in movement and speed allows your muscles to improve upon the strength and resiliency of connective tissue. If you have been training in agility and trip stepping onto a curb, it’s likely your body will be more responsive and prevent a fall. Warm-up Is a Must. Unlike other exercise methods that allow you to slowly warm-up the muscle and connective tissue, agility training requires your body be fully warm before starting any of the exercises. Agility training requires a longer warm-up to ensure the body is fully ready to train. If you’re not fully prepared to start the workout it’s likely you can become injured. You wouldn’t hop out of the car and go into a full 50 meter sprint, so please get warm before starting any agility drills. Most Calibers of Fitness Can Enjoy SAT. If you can’t run then jog. If you can’t jog then speed walk! Modifications are perfectly acceptable with any form of fitness, so give it a try! As with any fitness routine, consult with your doctor. Perform 3 to 5 reps of each exercise to your fastest and fullest ability and have fun! Hop Scotch Drills (if you do not have an agility ladder, grab some chalk and the kids and get moving). Start with both feet outside of the ladder. Hop one foot at a time in each block of the ladder until you reach the end keeping the opposite foot off the ground. Then hop back one foot at a time until you’ve completed the whole ladder. Down and back is 1 rep. Remember speed is key! Working your way back down the ladder, one foot and then the other will enter each section of the ladder. Keep the count of 1-2, 1-2, 1-2 as quick as you can down. Working down the ladder laterally, run, jog placing each foot in each ladder slot. Add high knees to this drill for a high intensity calorie burn. Run, Run! Starting with both feet outside of the ladder jump with both feet into the ladder then jump to straddle the outside of the slot on the ladder. Hop into the next slot and then straddle and so forth. For an increase drill add a squat when jumping outside the ladder. Alternate feet and in and out of the ladder as you work your way down the length of the ladder. Again, add a high knee move to elevate this exercise intensity. Place three cones (or other markers) in a triangle pattern eight feet apart. Sprint from the first cone to the second. Circle that cone, then run backward to the first. Circle the first cone, then sprint to the third cone; circle it, then run backward to the first cone. Repeat as quickly as you can three times. Rest for 30 seconds, then repeat three more times. Line up five cones (or other markers) in a row, about 18 inches apart (a bit less than your average stride). Start at one end and weave through the cones, running as fast as possible without knocking them over. At the end, turn around and jog back. Do four reps, then rest for 30 seconds. Repeat the sequence three times.